Over the past few weeks, we’ve covered quite a lot of content about How To Photograph A Wedding, including the getting ready moments, portrait sessions, and shooting both the ceremony and reception. So in the final episode of this five-part series, I wanted to share a few final tips and advice on what to do next. We’ll chat about the importance of knowing your gear inside out - not only understanding the fundamentals of photography but being comfortable shooting in manual mode (and not trying to figure it out on the day of the wedding). 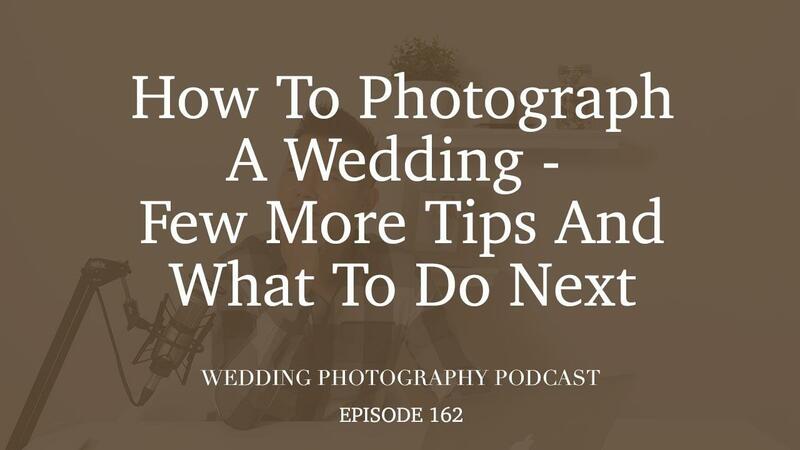 If you do get overwhelmed with the pressure of shooting a wedding, just take a deep breath and go back to the basics of what you know, rather than trying to do anything out-of-the-ordinary. Going forward, there’s always room to improve as a wedding photographer, so be constructively critical about your photography skills and determine which aspects you need to work on. That being said, change doesn’t happen overnight and it’s important to not constantly be comparing yourself to other, more experienced photographers. Aim to get better one wedding at a time and you’ll see that patience and perseverance will pay off.